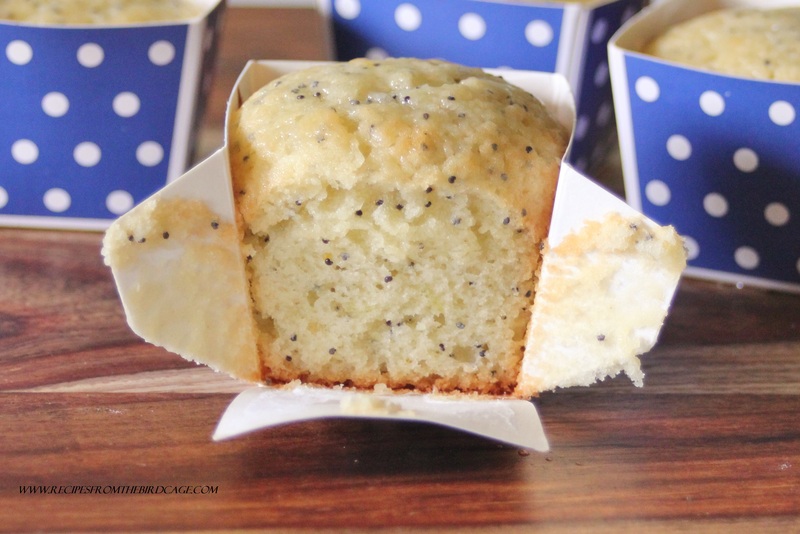 Triple Citrus Poppy Seed Cake (and a review!) – recipes from the birdcage. 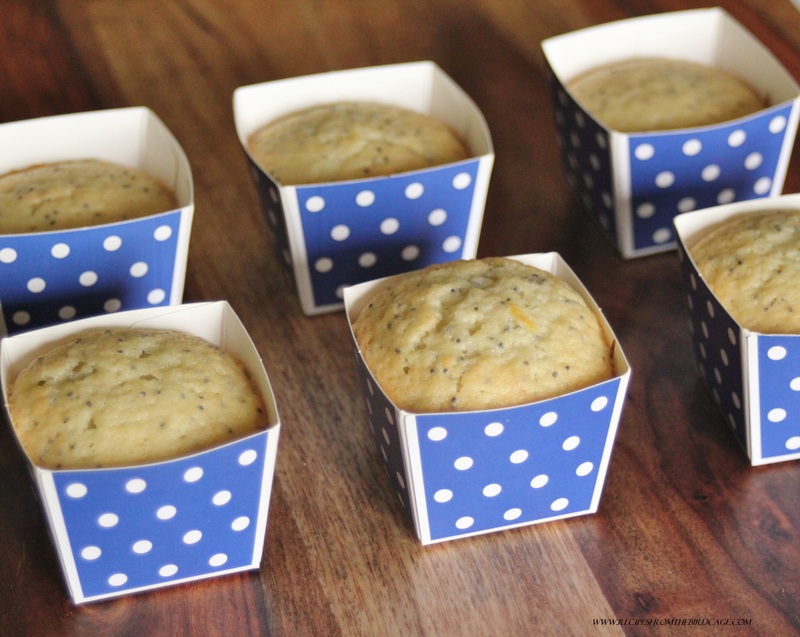 Quick Breads in polka-dotted, cubed baking cups? I was super excited to get a package on my doorstep a few days ago. Even more excited when said package contained an assortment of baking cups from Welcome Home Brands, makers of oven-safe paper and plastic bakeware. Seriously, you guys. Think color. Think patterns. 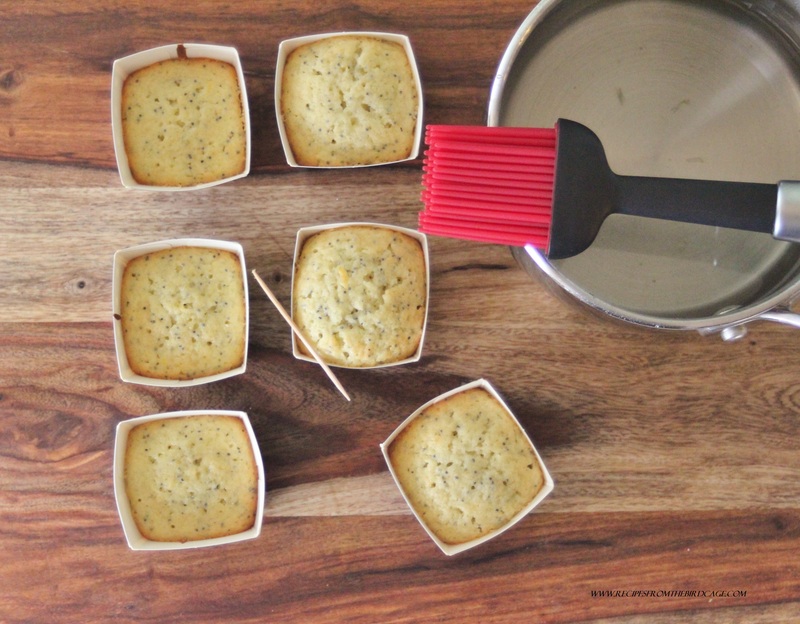 Think freedom from a zillion different sized baking pans – they stand alone!!! Stand Alone bakeware? Your overstuffed kitchen cabinets will thank you. Yes, they are stand alone cups, but you do need to place them on a cookie sheet. You may wonder exactly how much dough to place into your cups; I say that really depends on what you are baking in them. For this recipe, a dense pound cake that doesn’t rise too much, or any other quick bread, I would fill them 2/3 of the way. If you are using a regular cake recipe that rises much more, I’d say err on the side of caution and aim for filling the cups 1/2 full. You’ll be filling any “head space” with frosting, anyhow. The cups in the back row were filled halfway. The cups in the front row were filled 2/3 full; this is recommended for this recipe. 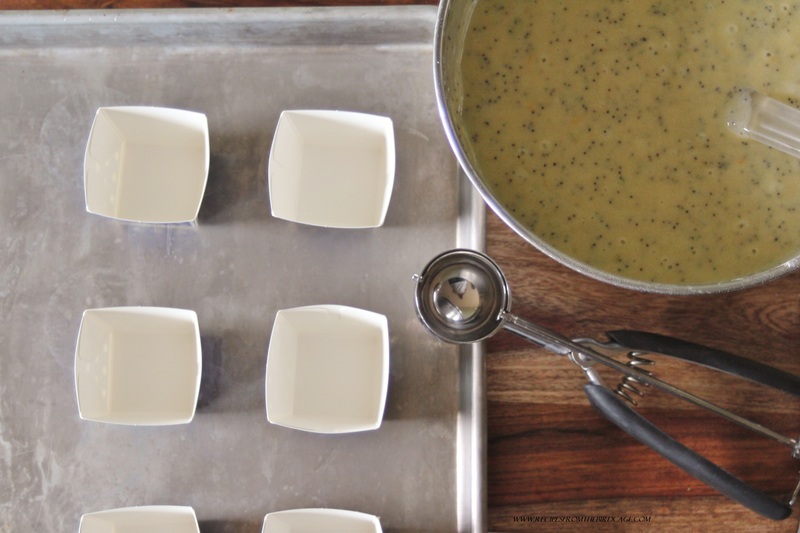 Let’s get to the recipe: Triple Citrus Poppyseed Cake! I like to serve this quick bread with Earl Grey tea and curl up with a book. It’s a very easy cake to make, and like many a quick bread, I do recommend making it the day before you plan to serve it. You can, however, serve it the day of, but it is even better the next day. 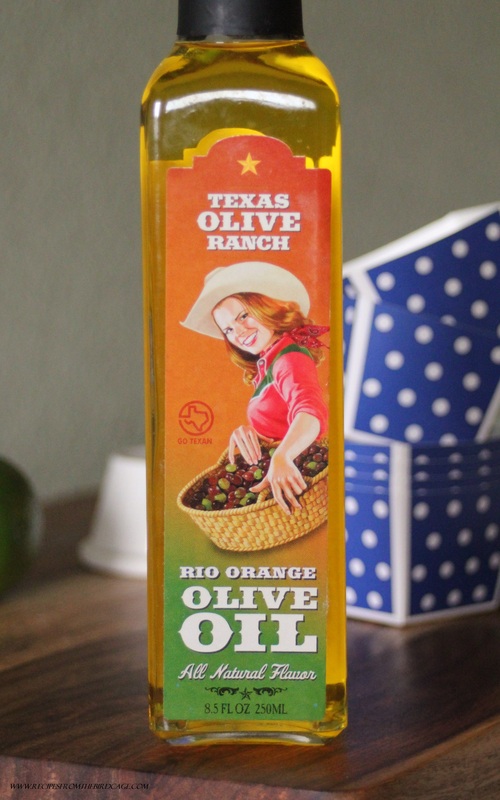 I’ve written the recipe as calling for canola oil, which is what I’ve used in the past, but today I used Texas Olive Ranch’s Rio Orange Olive Oil and it rocked my world. The good stuff. And it is Texan….bonus! This particular cake doesn’t have a traditional icing, mostly because it is meant to be enjoyed with tea, coffee, or with brunch, but it is topped with a delicate citrus simple syrup/glaze. DO.NOT.SKIP.IT. For reals. It really sets the cake apart and adds even more moisture. Using a toothpick, stab the tops of the muffins all over. Brush the slightly cooled glaze over the tops. 1. Preheat oven to 350 degrees. 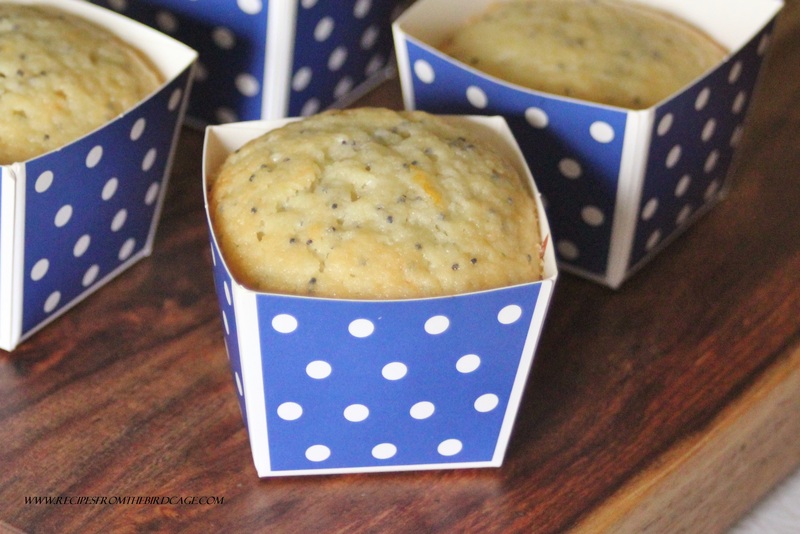 Line a 12 cavity muffin pan with cupcake liners. 2. In a large bowl, whisk together flour, sugar, baking powder, salt, and poppy seeds. 3. In a second bowl, whisk together the oil, eggs, buttermilk, vanilla, juices and zests. 4. Fill each muffin cavity 2/3 full of batter. Bake for approximately 20 – 25 minutes, or until top lightly springs back when touched. 5. 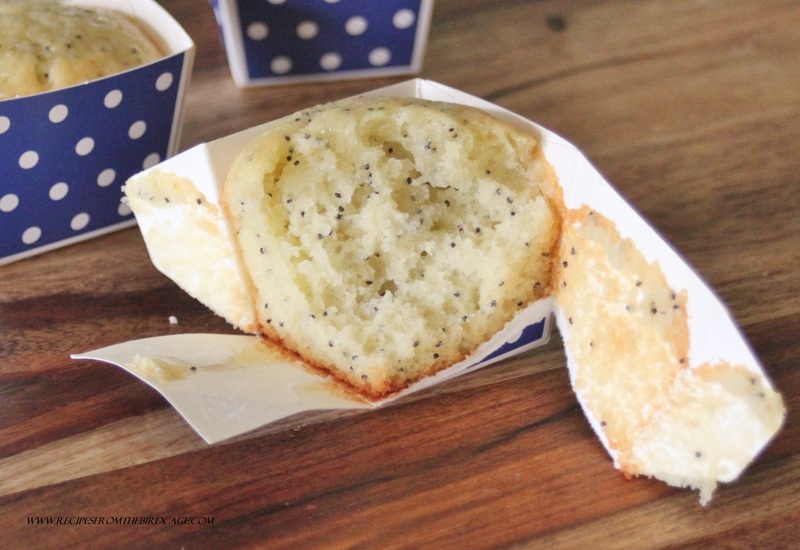 Poke several holes in top of muffins with a toothpick, going far down, but not to the bottoms. 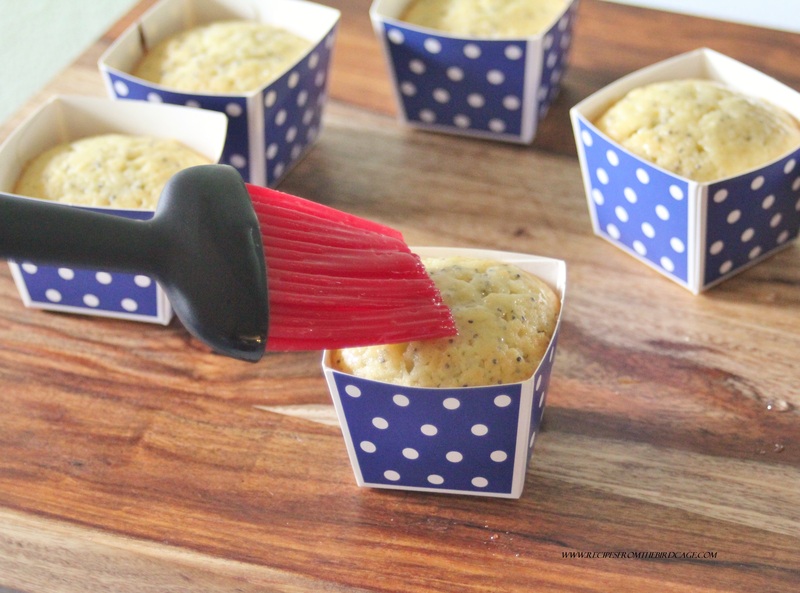 Using a pastry brush, spread slightly cooled glaze over muffins, allowing to soak into holes. Repeat once more. *Cake is best when allowed to sit for several hours, ideally overnight. Store cake in fridge and bring to room temperature if making more than one day in advance. For the glaze: Into a half cup measuring cup, juice remaining citrus fruits; you may add water to bring the liquid measure up to the top of the cup. (If needed) Stir in 3/4 cup sugar; bring to boil stirring to dissolve sugar. Allow to boil for about 3 – 4 minutes or until thickened and syrupy. Let cool 10 minutes before brushing onto cakes. I was unsure of how the Welcome Home Brands baking cups would work when trying to get to my cake, but they peeled right off! And check out the crumb on this cake….perfect little bubbles for catching pooled citrus glaze! Enjoy! I feel like I’m being flashed. Disclaimer: The views and opinions expressed here are my own. I am proud to partner with companies and products that I enjoy. These ARE adorable and I love the TRIPLE citrus! 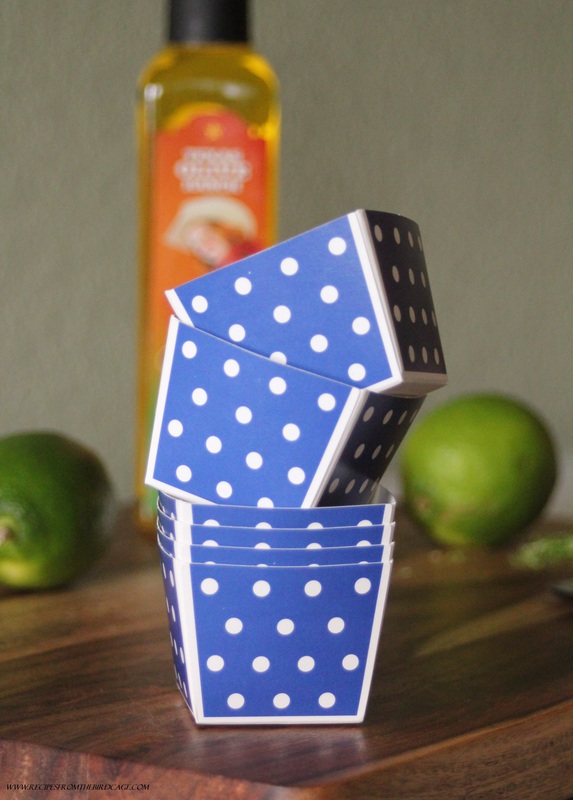 I’m making them soon!